Up to 16% of Tennessee residents are 62 years and over. That’s quite a significant portion of the total population and it explains where there’s a special type of mortgage for them – a reverse mortgage. It is natural that as you age your ability to engage in active employment diminishes. In fact, if you are 62 years or over chances are you are either retired or contemplating it. But that doesn’t mean you can’t get money as frequently as the younger population. With a reverse mortgage, you can get cash in your account on a monthly basis, without having to work. The only condition is that you should be a homeowner with equity that can be converted to cash. Sounds interesting, right? It actually is since most Tennessee homeowners are used to mortgage agreements where they pay their lender every month. But that’s not the case with a reverse mortgage. Here, it is the lender who will pay you either every month or after a period agreed upon. The main aim of this type of mortgage is to help senior citizens who can’t work to have money in their accounts. One of the best things about a Tennessee reverse mortgage is that you won’t have to pay back the money as long as you don’t sell or move out of the house. That’s very convenient, after all many senior citizens are not eager to move houses, either because of sentimental value or hassle. Having said that, you need to know that a reverse mortgage is a loan agreement just as much as any other mortgage. That’s why lenders do underwriting to determine whether applicants are eligible. Our team has been kind enough to compile everything you need to know. Tennessee reverse mortgages, including the requirements that will help you get approved. You will also learn about the various types of reverse mortgages and whether you should apply for one now. 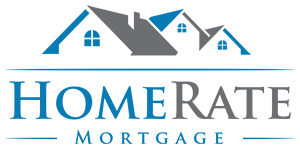 If you qualify you can apply directly through our website and our HomeRate Mortgage staff will help you get approved. Meanwhile read on and learn everything there is to know.